To deliver the highest quality copywriting services to all of my clients. If you have a project that isn't listed, please provide a description and your ideas. Articles written by me under my pen name of Imogen Rayne, are available for purchase to use on your website or blog. The proceeds earned from the purchases will benefit the community I built and keep it growing.I will also consider writing articles or web content for you, so please contact me if you are interested. Rights to all articles will be retained by me. I also ask that you list my pen name in the byline of your article. Thank you for helping me make a difference, by using the talent that God gave me.I have over 400+ articles to choose from on diverse topics. 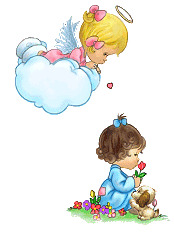 I also have many poems to choose from on various topics. 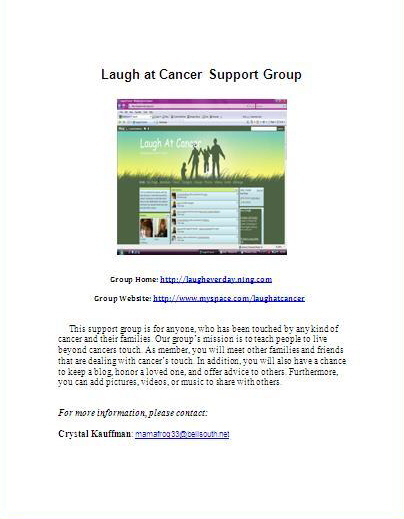 Laugh At Cancer Support . Click here to see the memorial website I built for my Grandpa.